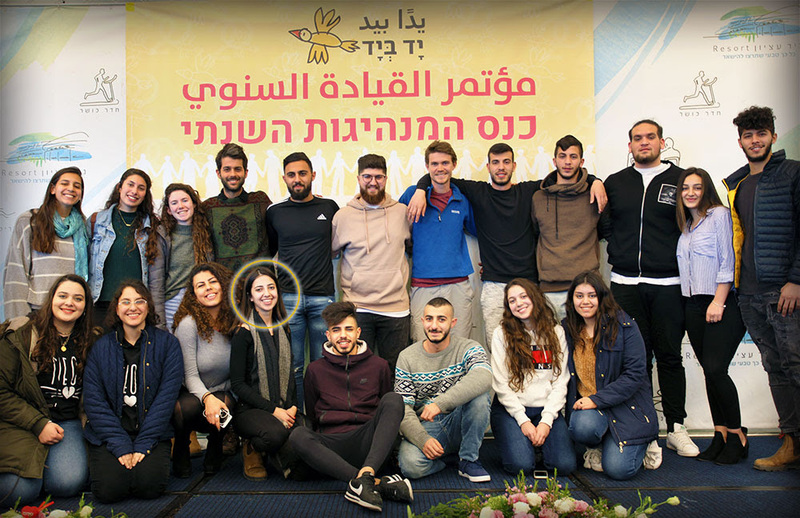 Sarah Sheikh (circled) and fellow Hand in Hand alumni at the country-wide leadership retreat. April 9, 2019 should be an optimistic day for Israeli citizens. 5.8 million Israeli citizens have the right to vote to elect the representatives of the 21st Knesset and determine Israel’s path for the coming years. But for many citizens the feeling in Israel isn’t one of optimism. These elections have been characterized by poisonous political rhetoric that pits Jewish and Arab citizens against one another in an attempt to deepen social divisions and delegitimize the Arab population. Coming from a traditional Jewish background myself, I found it deeply distributing that racist politicians have been brought into the mainstream through their partnership with the Religious Zionist parties - with the encouragement of the Prime Minister. Despite this, I am filled with hope by the progress towards shared society on the grassroots level, and in the last months I have seen sprouts of inspirational leadership flourish in Hand in Hand’s circles. Our students are growing up with strong values that they are putting into practice in their schools – leading protests against discrimination and initiating projects for women’s rights. Our alumni are taking leadership positions on campus and launching initiatives in their communities. "It is a special thing, to see the other from a young age, and to know that there is more than one side to a story even when we don’t agree. I learned that the world does not revolve around me or that I alone am right. And I think all of society benefits from our experience: it begins with us and we carry it outward. Growing our movement may take a long time, but think about how we started with one small class and today we have six schools. We will carry on." Watching these alumni and community members from all over the country – so full of passion and inspiration – I realized that I was looking at the future leaders of Israeli society. I have no doubt that these young leaders have the will and the capacity to bring about real change in Israel – and with Hand in Hand, they also have the support to do so. We can choose to be overcome by pessimism about Israel’s future due to the negative political climate, or we can choose to be optimistic about the accelerating change we are seeing around us and the observable impact of this new generation of leadership. We choose the second option – and we invite you to join us.